All too often I come across websites where the majority of images have been taken straight out of generic ‘stock photography’, e.g. two people sitting across from one another in a business type meeting, or someone typing away on a laptop. As a result, the website can look and feel like a generic template, when it should really look and feel as unique as your business is. So why are images so important on a website? People will land on your home page, and will make up their mind within a few seconds if you are the right company for them - much like the first impressions at an interview! If your website looks ‘clunky’, is too hard to read with lots of text, and the images are either irrelevant, poor quality, or just plain boring, chances are you’re not going to attract their business. It can be hard to find the right images to represent your company, or to inspire visitors when they scroll through your pages. A large part of the design process can be taken up with the careful selection of images. Although, if everyone is using similar images, how can you set yourself apart - without paying for expensive photo shoots or stock images? There are now plenty of sites that offer free stock images, and a quick Google search will give you several options, with examples including UnSplash, Pexels, and even Squarespace offers free images for users. The trick is to select images that fit your logo, branding, relevant to your industry, and also convey your services and products clearly. Of course, having a high quality image is one thing, having it displayed on your website to maximum effect is another. Sometimes the services of a website designer can come in handy when selecting and displaying images. Some website designers will insist on their client providing everything upfront, others will have a more collaborative approach and help with the image selection to bring your website vision to life. The original Authors Hand site was full of text explaining the services on offer, with links to other pages with more text, but no images or clear navigation. The logo was an old fashioned image of a quill and hand, and so the inspiration was to look for images that represented professional writing, but also had a ‘traditional’ feel to it. 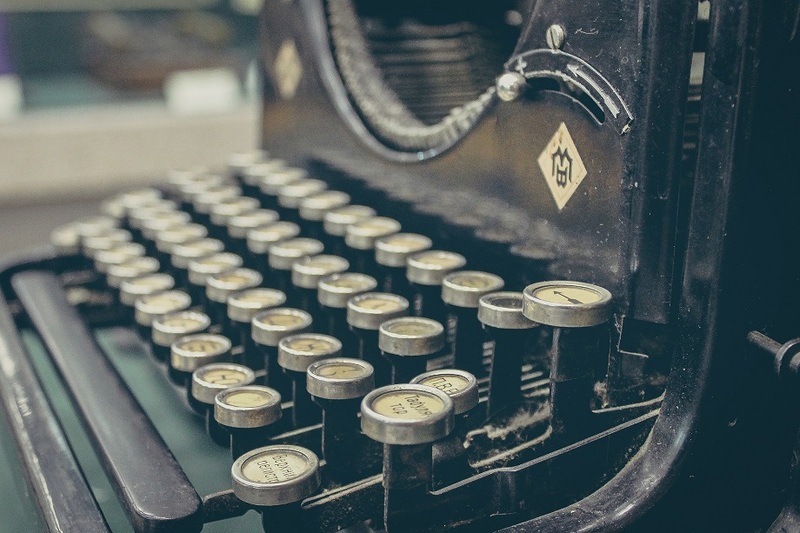 The main banner image chosen was an old typewriter - one that often comes into mind when thinking about writers sitting in a room, working on their latest fiction or biography. Along with a tag line, the landing page of the site conveys the meaning of the company and what they provide straight away. A simple navigation menu with additional relevant images gave the website a more cohesive and professional look. and images of a row of traditional housing to represent a rental agency for that area. Not all business owners are designers, and not all website designers have an understanding of business. When choosing a website designer, it’s always a good idea to view their portfolio of work to get a better idea of their design style and capabilities. Take a closer look at the use of images. Do they make that all important good (or even great!) first impression, with a clear message conveyed with a high quality image? As businesses grow and change, the company website should also be just as flexible. Looking back at your current website, do the images on your website align with your current business branding and services? With Squarespace, images can be updates quickly and easily - along with a change of layout and / or content. If you feel ‘stuck’ with your current website, and would like to have more control to make changes and updates in the future, why not get in touch with HLD and find out how to make the switch over.